Never a dull moment since we moved to Louisville. The current excitement is about the mountain lion sightings. There was one at dusk in January in the 'Blue Park' in the North Open Space that our neighborhood juts into. But no-one took that seriously. We just made sure that the kids did not play at the Blue Park by themselves and that they did not take the shortcut through the Open Space to get there. Life pretty much went back to normal. 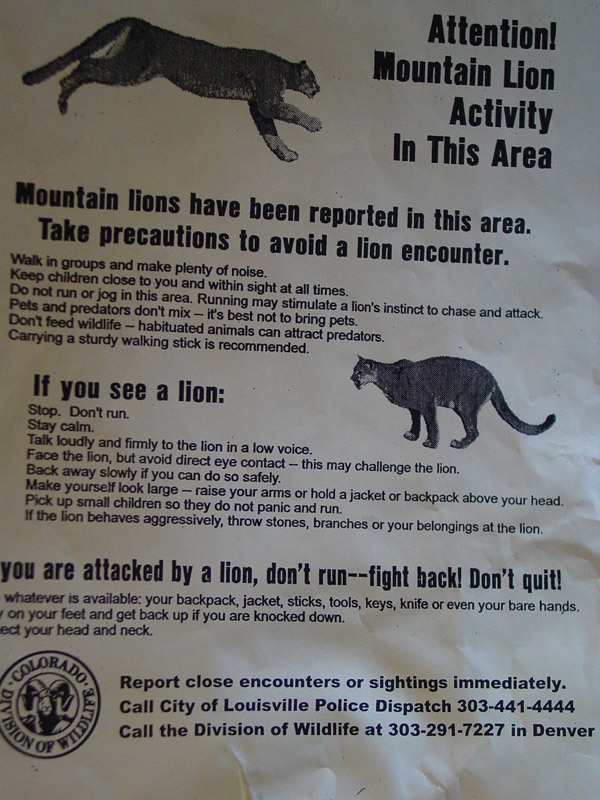 A lot of the potential hysteria died down because mountain lion attacks are very rare. A friend who has lived up in the mountains for over 15 years has never seen one even though his property falls within mountain lion territory. So we went back to living life as normal. 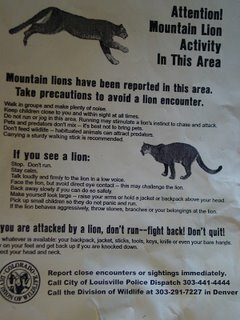 Then a 7 year old was attacked by a mountain lion on the Flagstaff Trail in Boulder. No, he had not wandered away from his family; he was right with them when he was dragged away by the cougar. Luckily his family did all the right things and the child is supposed to be making a great recovery. Come May 11 and the cougars were seen in the Tamarisk Open Space, less than a quarter mile from my daughter's elementary school. While the City's web site says that most of the sightings were at dawn or dusk, the Daily Camera reports that the last sighting was at 5:30 pm on May 11.
and my daughter came home with a flyer made by the father of her classmate who works in the Open Space Department for the City of Louisville. The City of Louisville is going to hold a meeting on May 24 to discuss these sightings. Mountain lions weigh between 80lbs to 180 lbs. They can jump over 15 feet high. They prefer smaller prey but will kill deer and even elk. I am not a happy camper. 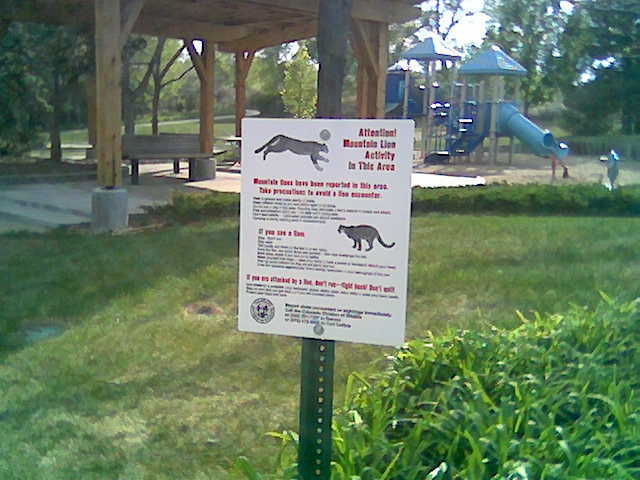 Even so, I was aghast to find out that the State of Colorado actually gives out hunting licences for mountain lions. That there is a hunting season for mountain lions. That their meat is made available for human consumption. Enough to make me not want to eat any meat for the next few weeks. Hey! At least I am honest! I will eat meat but just not for the next three or two or one week. So in my quest to turn vegetarian for the next few meals, what better than to have Paneer Jhalfrezi. Deseed the tomatoes and cut lengthwise into slices about 1 centimeter wide. Add tomato slices and the garam masala and mix well. 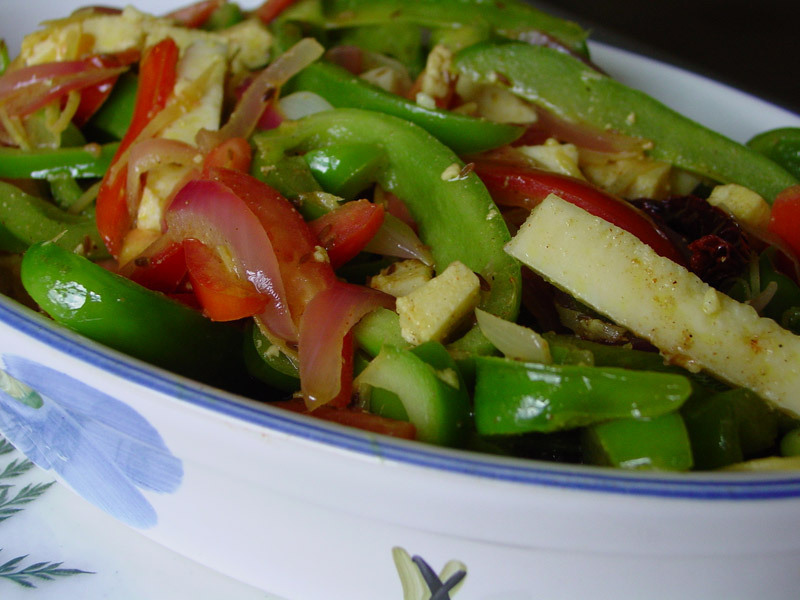 Cook for another couple of minutes and your paneer jhalfrazi is ready to serve! Update (Oct 2006): The friend I got this recipe from tells me that this is originally a Sanjeev Kapoor recipe. She added some twists and I added some more. 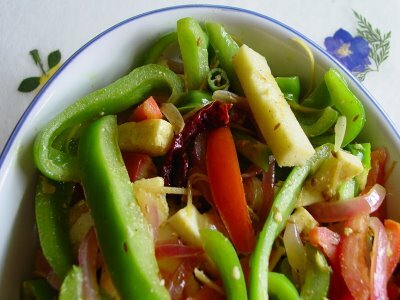 Shilpa, try it out and let me know what you think. I made this for a party I threw for a friend's 50th birthday - who is vegetarian - and it was a real hit. 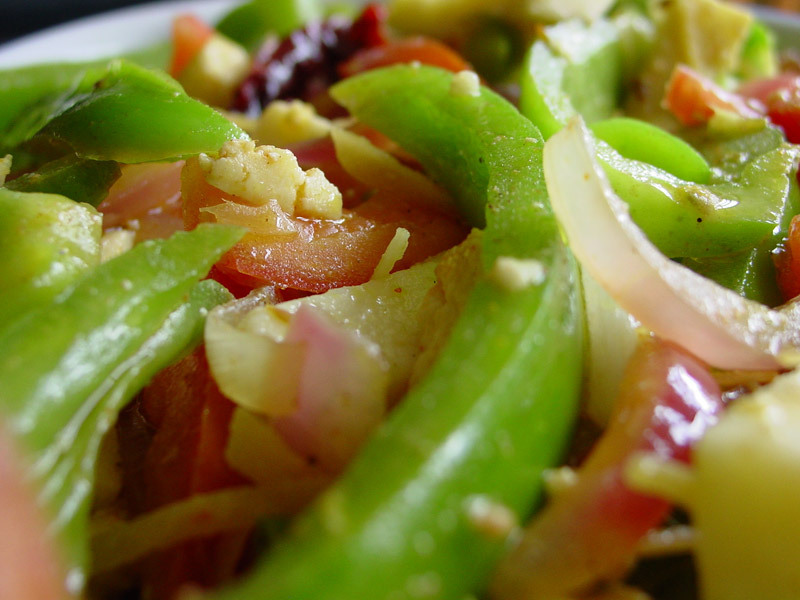 Everyone loved the the crunch of the vegetables and how the paneer soaked in all the flavors. Hi Mythili, welcome to IFR! Thank you very much for the compliments! I had a lot of fun coming up with this layout. Santhi, I thought so. My guests thought so. I'm glad you think so, too! Be careful out there. 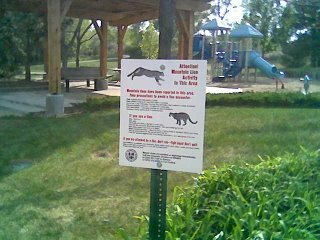 That would be scary to have mountain lions roaming by. Gini, it's a bummer as it comes at a time when the weather is just perfect to be outdoors on the trails. I was just ready to put on my jogging shoes when this happened. I am now restricted to working out on the indoor track at the local Rec Center. We went out for a walk to the Blue Park the other day and we jumped every time the tall grass (it's 6-8 feet tall) swished or the twigs crackled. It was just too stressful and totally beat the purpose of going out for a walk. The heartening thing is that there haven't been any attacks; so it means that the cats are getting enough food! what colors! an artist's palette indeed. the lion story is hair raising! 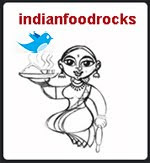 Hi Reshma, welcome to IFR! I loved the colors, too. Initially I thought the red was from red bell peppers but it was tomatoes. 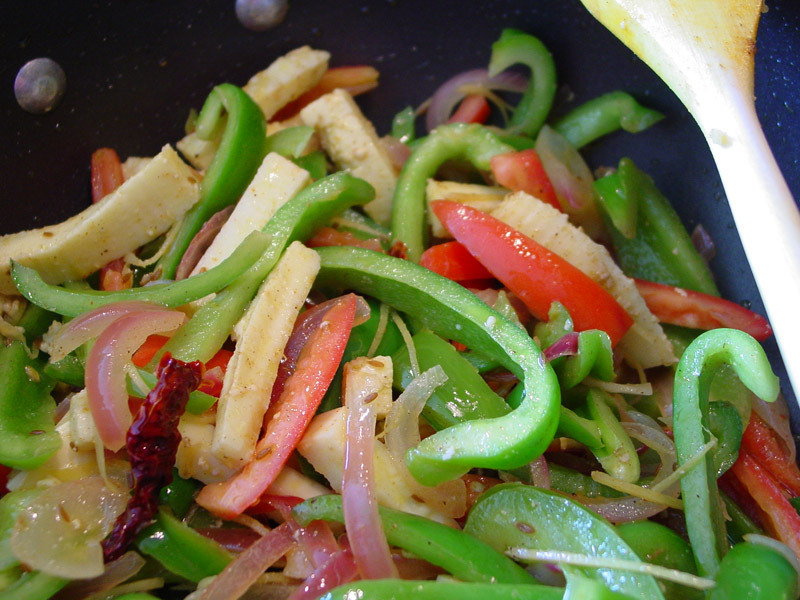 To make it even more colorful, you could 1 yellow bell pepper and 1 green bell pepper instead of 2 green bell peppers. As for the mountain lions, there have been no more sightings. We're hoping that we will be able to get back to using the trails again soon! This looks easy to make, delicious, and nutritious. I just have to make it. And soon. Thanks for the recipe! Thanks! i tried the recipe and it came out really well.